Former WNBA All-Star with the New York Liberty who led the University of Connecticut women's college basketball team to a 35-0 record in 1995. Set the high school women's basketball scoring record in the state of Massachusetts while playing for Southwick-Tolland Regional High School. She received the 1995 Naismith Player of the Year Award during UConn's historic season. She had four children with Sports writer Steve Rushin. 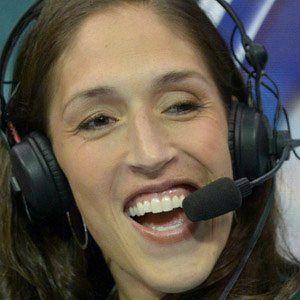 She and Diana Taurasi both led UConn to undefeated seasons and became WNBA stars after their collegiate careers.